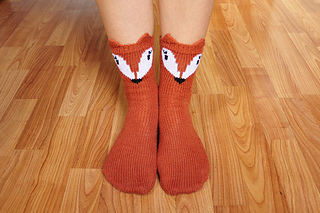 Treat your feet to all that is sweet with these adorable animal socks! Your feet will be so happy to have 2 new furry friends, or “Pawsome Pals” you might call them ;). 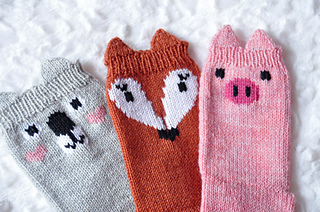 These ultra cute socks feature 3 animal options - a Koala, a Fox, and a Pig, with their irresistible poking up ears. 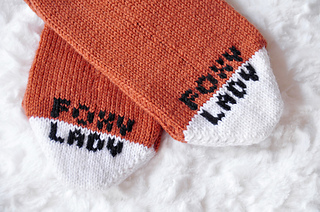 They also each feature a lovable little saying on the heel, including “Hug Me” (not pictured but included in the pattern :), “Foxy Lady”, and “Oink!” for extra charm. 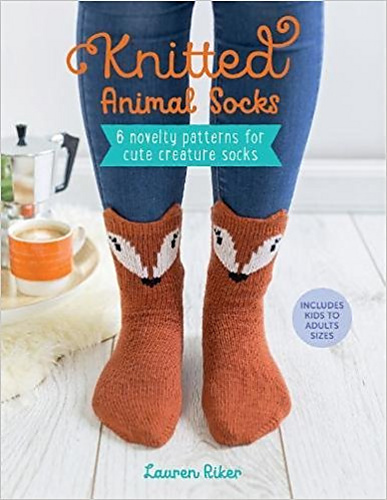 These socks come in every size to accommodate the whole family, from 3 years old to adult, so no one will be left without a set of cuddly critters! 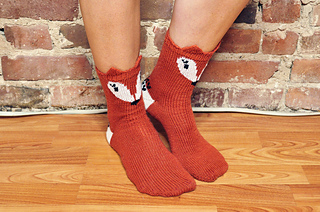 The socks are knit from the toe up with the option of adding a contrast toe and heel for extra style. 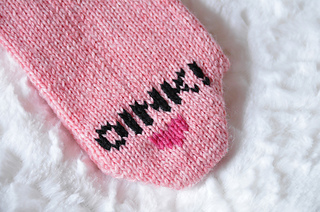 The face and heel are given as color charts to be applied by duplicate stitch after the sock is finished (link to a video tutorial included). 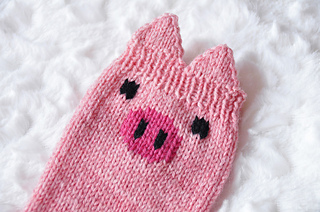 It also has a blank template so you can design your own animal sock! There are two ear options, round and pointed, so as long as your animal design has rounded or pointed ears it will work! 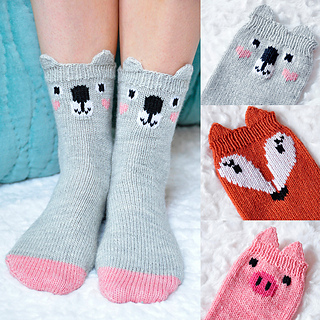 This design is part of the “Look at Those Legs!” Collection, a collection of 5 adorable Girly Knits sock patterns for only $18! Check out the details of the other awesome patterns included within this collection here!